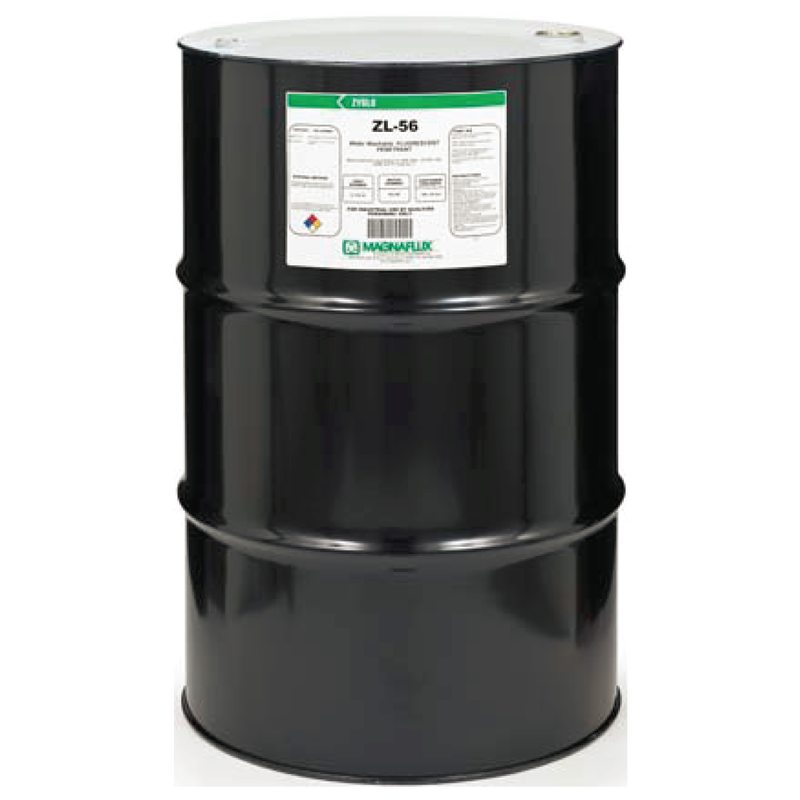 An ultra-high sensitivity penetrant (Level 4), ZL-56 fluorescent water-washable penetrant is safe for use on alloys in engineering and aerospace use, including aluminum, steel, nickel and titanium. ZL-56 is designed for non-porous and highly machined components. Developers recommended are ZP-4B powder, ZP-9F non-aqueous, SKD-S2 non-aqueous and ZP-5B water suspendible. ZL-56 is listed on the QPL SAE AMS 2644 Qualified Product List.